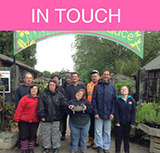 Canterbury Oast Trust (COT) is a charity supporting adults with learning disabilities across Kent and East Sussex. We believe that everyone has a unique role to play and the right to a fulfilling life. Our mission is to support safe, stimulating and fulfilling lives for adults with learning disabilities. Many people say the COT community is like being part of a big family. People are at the heart of what we do. We endeavour to recognise, celebrate and put to good use the unique personalities and skills of all those connected with the trust. Our focus is improving the lives of the people we support and everybody is given control and choice over their own lives. Everybody has an individual plan - centred on fulfilling personal needs and aspirations. Our accommodation meets the highest standards - our CQC results speak for themselves. We apply the 'would I want to live there' standard across all of our homes. Our life skills provision is delivered through commercial enterprises where people can take part in meaningful and relevant skill development in a supportive environment. Together we can make a difference, challenge prejudice and enable people to live the lives they choose.